Compilation box set, released on 22 October 1990. 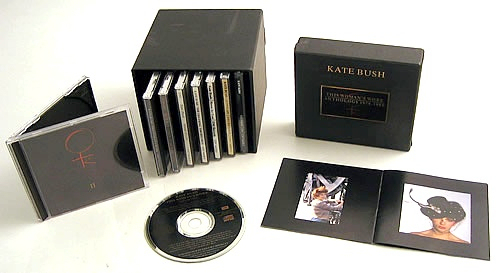 It comprises the six albums released by Kate Bush until then, with two additional albums of B-sides, rarities and remixes. The two rarities discs were never released officially as album separately from the box set, although certain shops were selling discs individually. 'This Woman's Work: Anthology 1978-1990' was released as a cd box set (8 discs), a vinyl box set (9 discs) and a cassette box set (8 tapes).